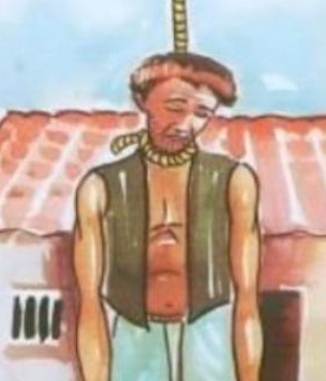 Bhubaneswar, Nov 3: Two debt ridden farmers reportedly committed suicide in Odisha on Monday night due to crop loss in two districts – Dhenkanal and Kalahandi district. On the hand, the Odisha Human Rights Commission asked the state government to check the farmers’ suicide in the state and submit an action taken report by Dec 2. The two farmers were identified as Panaka Purti of Hatisingeda village in Kamakhyanagar and Kunja Hansa of Baijalpur under Golamunda block in Kalahandi district. The committed suicide following crop loss and loan burden as their family member claimed. Notably, the state government asked bank officials to go soft over crop loan collection from drought hit farmers. In move the bailout farmers of the drought-hit region, the state government has declared Rs 1,000 crore drought package. Besides, many decisions were taken by the government to safeguard the interest of farmers. But the surge in the suicide reports from the state indicates the failure of the state government in tackling the issue. In another development in this regard, the BJP activists have shown black flag to Odisha Agriculture Minister Pradeep Maharathy during his visit to drought-hit areas in Balangir on Tuesday. BJP leader demonstrated in Balangir lampooning the state government for its in action over farmers’ death. They demanded to declare Balangir district as drought hit. However, police arrested four BJP leaders for showing black flag to the minister in Balangir. It is noteworthy that, Chief Minister Naveen Patnaik had declared on Mayurbhanj as drought hit during the launching ceremony of NSFA digitised ration cards earlier this week. As per the state government reports, 41 farmers were committed suicide in the state following crop loss and debt burden.